A few weeks ago, my friend Susan called and asked if I would help her put together an evening for her culture club. She explained that the culture club sprung out of her book club – at some point, they realized that they really weren’t reading or discussing the books, but they still enjoyed getting together and doing things. And thus, their culture club began. 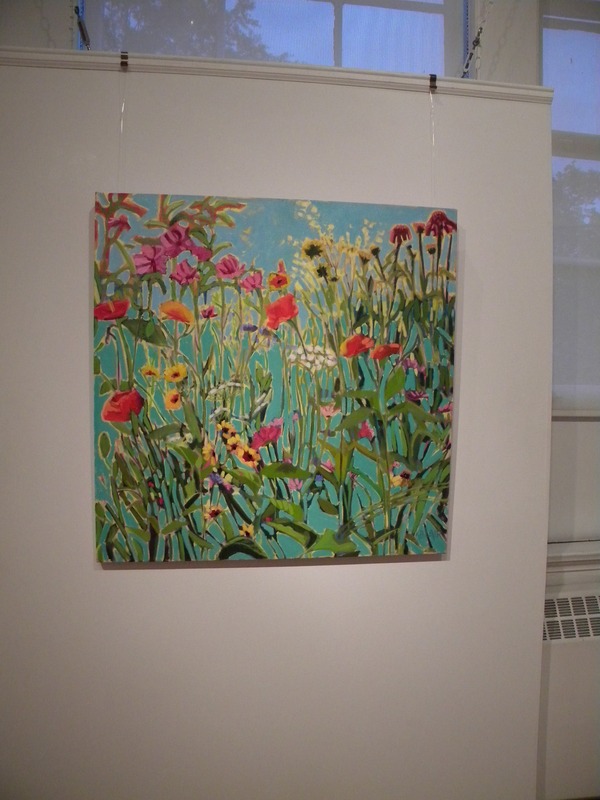 Susan held the event at her studio down at McGuffey Art Center. 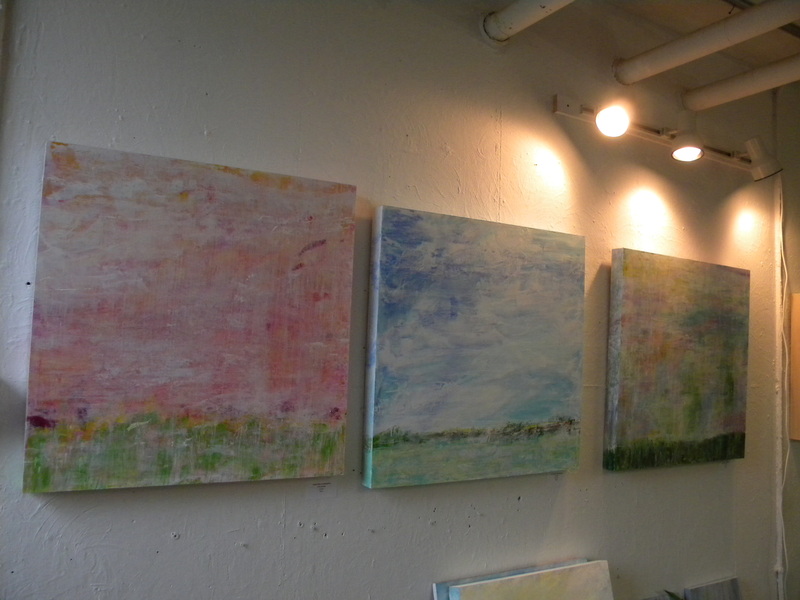 Her latest pieces are on display on the walls of her basement studio. The plan was to take a private tour of McGuffey and then retire to Susan’s studio for me to do a little demonstration with fresh herbs and have a light supper. There was wine and lots of catching up among the group. This painting by Karen Blair absolutely jumped out at me from the gallery while I was walking past in the hall. I liked much of her other work, but this one? I immediately had visions of this one blown up and covering one large wall in a loft-like space. Or as a mural in my dining room. Or maybe just hanging up somewhere in my house, although I’d have to repaint a room for it to hang in. 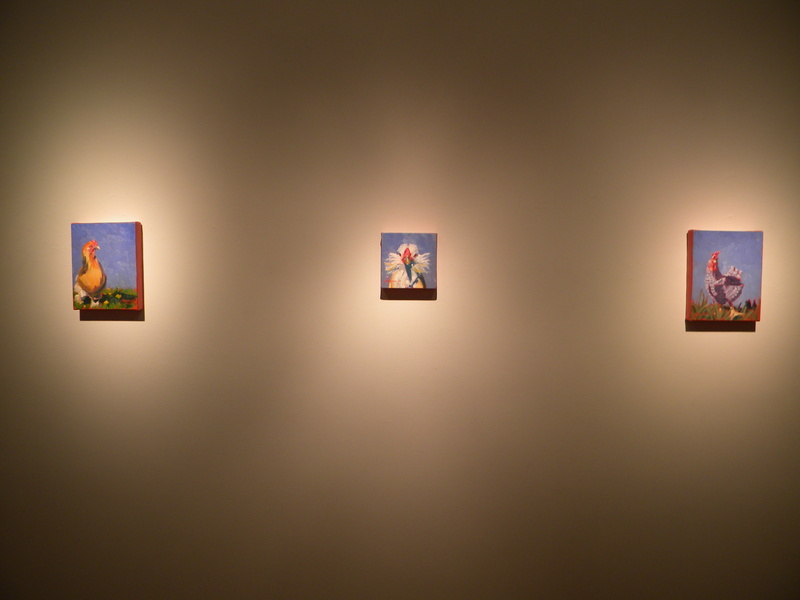 I absolutely loved the way these three chicken paintings were hung on the wall. 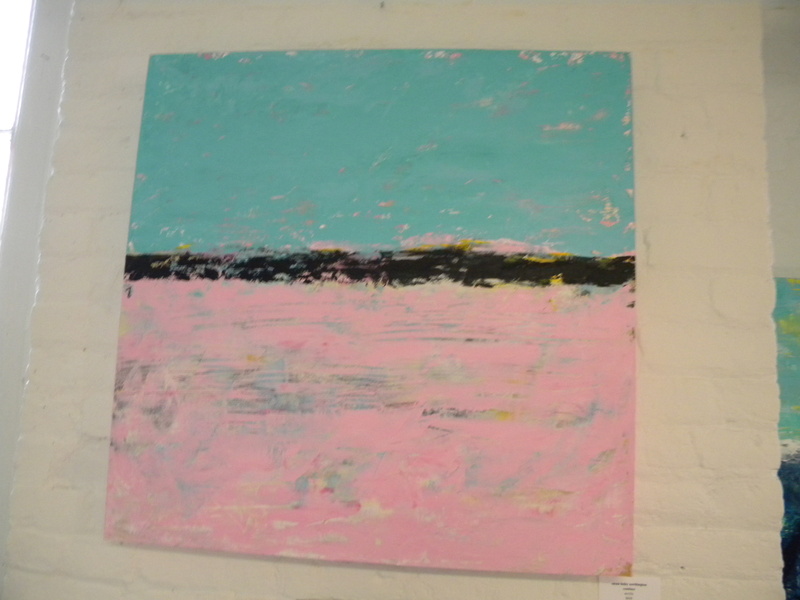 Krista Townsend’s work is part of the new show going up this month. She doesn’t just have chicken paintings (although clearly, I’m a little partial to them) – you’re sure to recognize some of her local urban scenes as well. 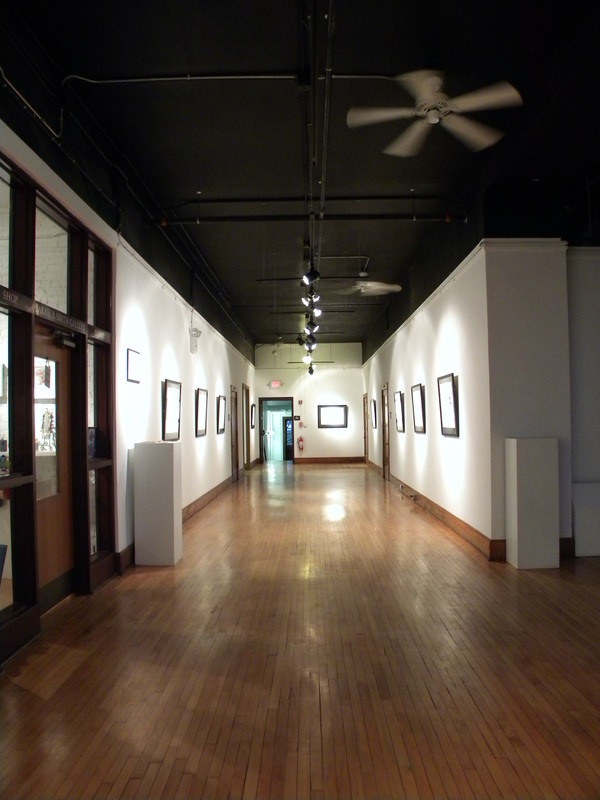 There are other artists work on display this month at McGuffey, with the opening being held Friday, May 3. The group also wandered into Elaine B’s studio. She has some beautifully delicate necklaces and earrings. 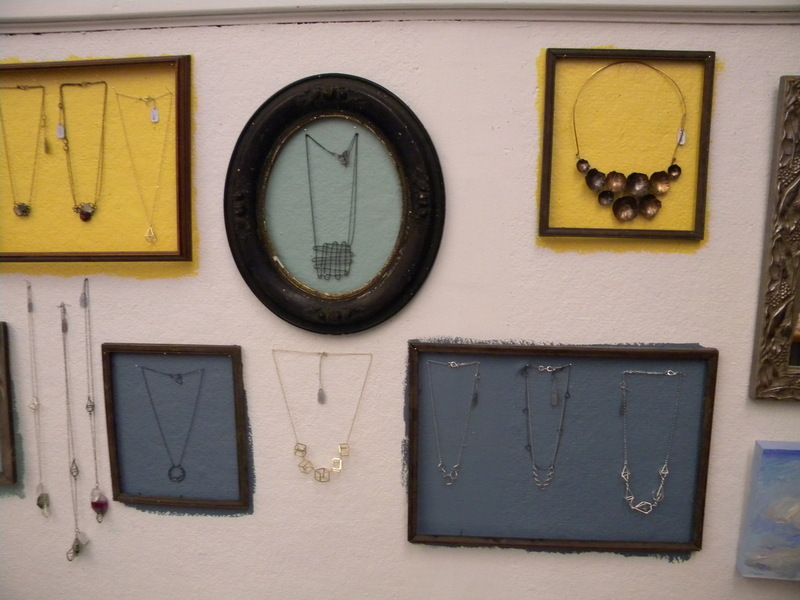 I adore how she’s displayed them with simple blocks of color painted on the wall, offset by empty frames. 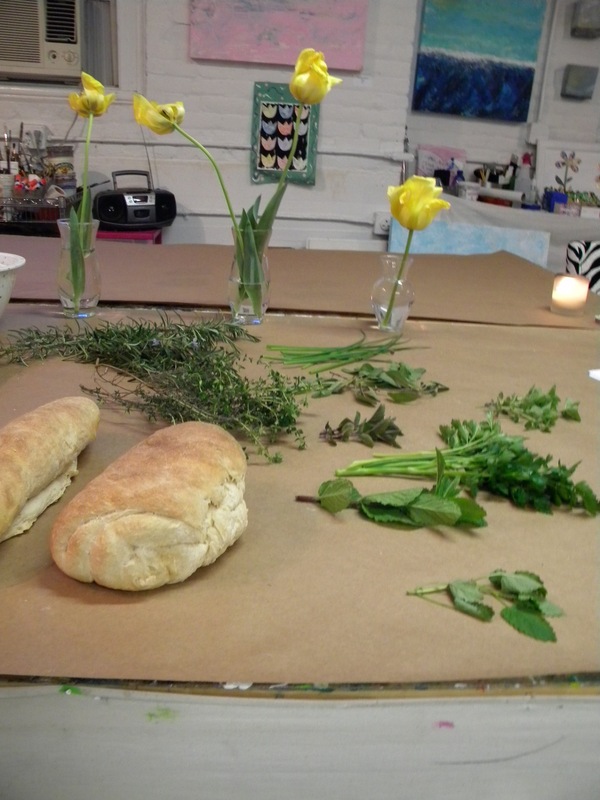 After the tour, everyone reassembled in Susan’s studio, where I had laid out some herbs I had wandered through my garden and snipped to bring along. As I talked about growing fresh herbs, I used them to whip up a few items to round out the meal Susan had planned – a beautiful salad of baby greens, dried fruit & nuts, fresh vegetables and roast chicken. I just so happened to have made a batch of bread that day, so I brought along a few loaves of my whole wheat sourdough bread to round it out. 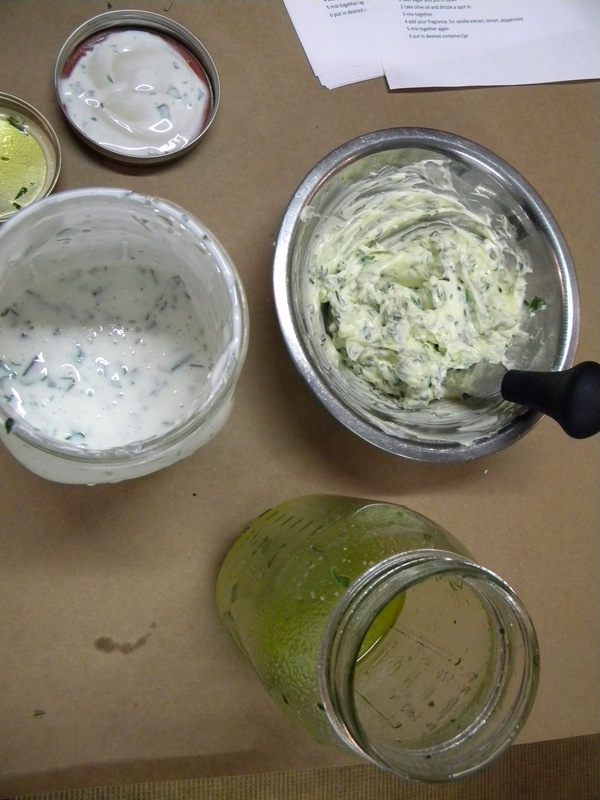 While I had picked all the fresh herbs currently coming back to life in my garden, I did not utilize the mint or lemon balm in making herb butter & salad dressings – although the lemon balm would have no doubt made a nice addition. 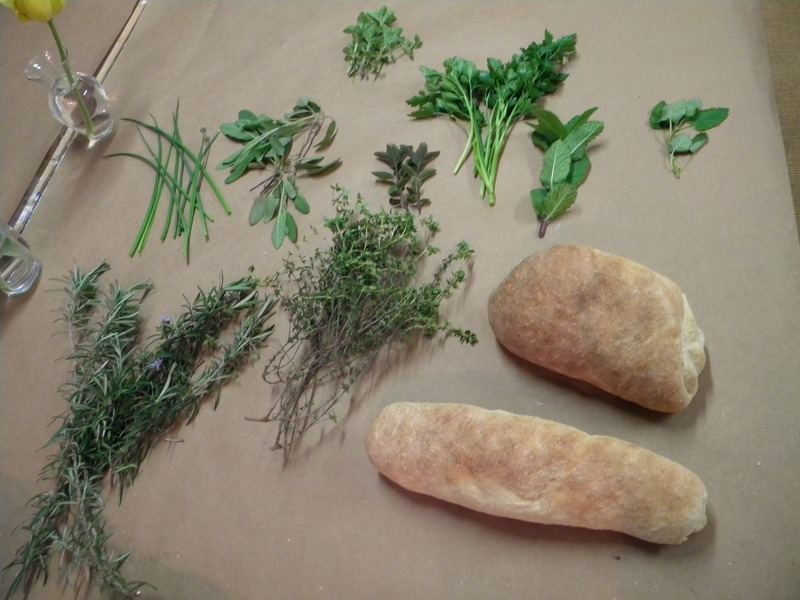 Instead, I stuck to the remaining herbs – rosemary, sage, chives, thyme, parsley & oregano. After chopping, I added them to some butter that had been softened by letting it sit at room temperature for a bit to make herb butter. I added them to equal parts buttermilk & Greek yogurt to make a homemade buttermilk ranch dressing as well as to a simple olive oil & vinegar dressing. A pinch of salt, pepper, onion & garlic powders and just like that, we had salad dressings and butter for our bread that elevated a very simple dinner. After months of eating from the pantry, it’s lovely to be able to eat fresh things again. Susan also whipped up a batch of Edie’s sugar body scrub for everyone to take home with them. I had requested the recipe from my girl, who typed it up on her ipod touch (that kid is one cell phone away from being a mad texter I tell you) and emailed it to me. I include it here, as originally written, in entirety. We use this on all body parts – feet, hands, I even use it on my face. Try it for yourself. 1 take sugar and put in bowl. 2 take olive oil and drizzle a spot in. Thank you Susan for putting together a lovely evening. I thoroughly enjoyed myself. I love how you add such freshness and delight to your friends’ gatherings.Then again I’m sure you could do that with your personality alone! I am a darn good time, I’ll admit. Thanks. Sadly, the dressing doesn’t really hold up past a few days, so bottling and selling isn’t an option. It’s so easy though, anyone can make it!